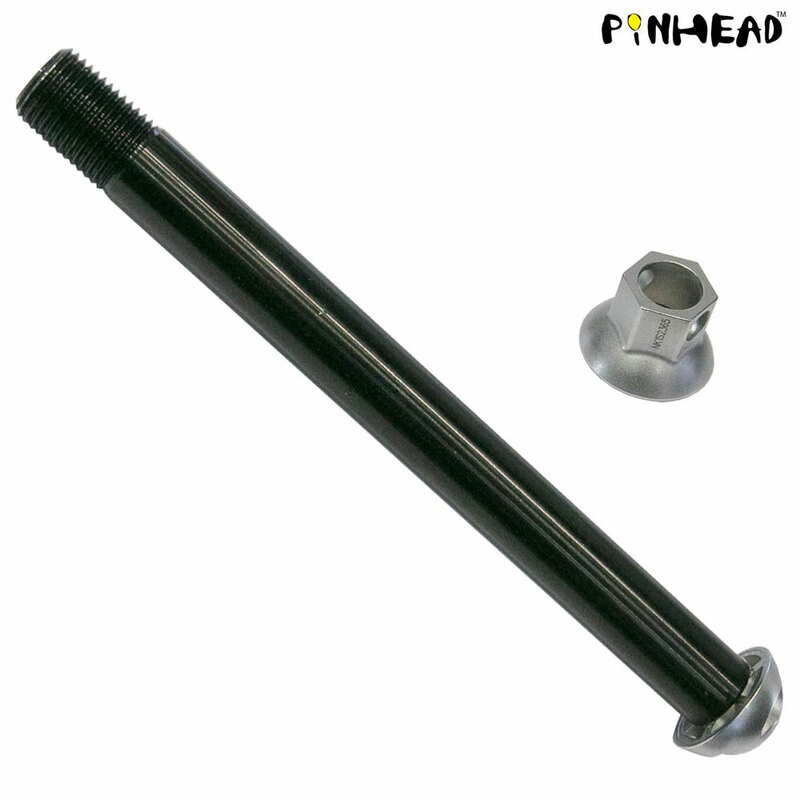 Unlike traditional locks, with Pinhead you can now protect specific components on your bike from theft. The unique Pinhead key system means that, unlike competitor locks of this type, they cannot be removed with a simple screwdriver. The Convex technology on Pinhead wheel locks protects them from removal by hammer, pliers, picks, universal socket tools, grinders and bolt cutters. Once installed, the Thru axle wheel lock remains permanently on your bike. When you need to remove your wheel for servicing, your Pinhead key lets you do this quickly and easily. Pinhead locks use a special coded key that comes with each lockset. The key is ergonomically engineered to install and tighten your locks. Each key is different, and comes engraved with a nine-digit code so it can be replaced if lost. With your key code, matching locks can be ordered to protect your other components or other bikes. Protected by Pinhead's lifetime warranty. Make sure to register your key code at pinheadlocks.com so that if your key is lost, a replacement key can be made for you.